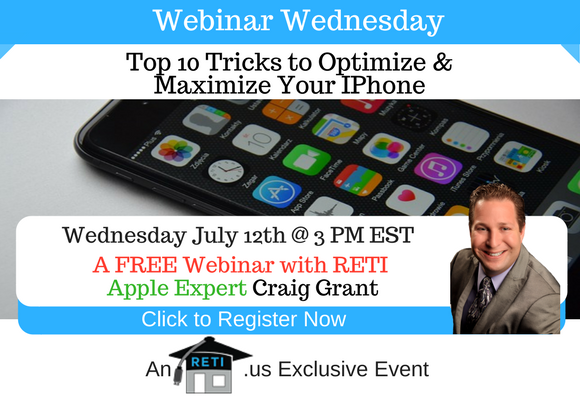 iPhones are awesome devices, but in this session Craig Grant will show you how to make the battery last longer, organize it better, do things you never knew it could do & more! Click to Register for this Webinar Now! With literally millions of apps to choose from these days it can be overwhelming trying to pick which ones you should use. 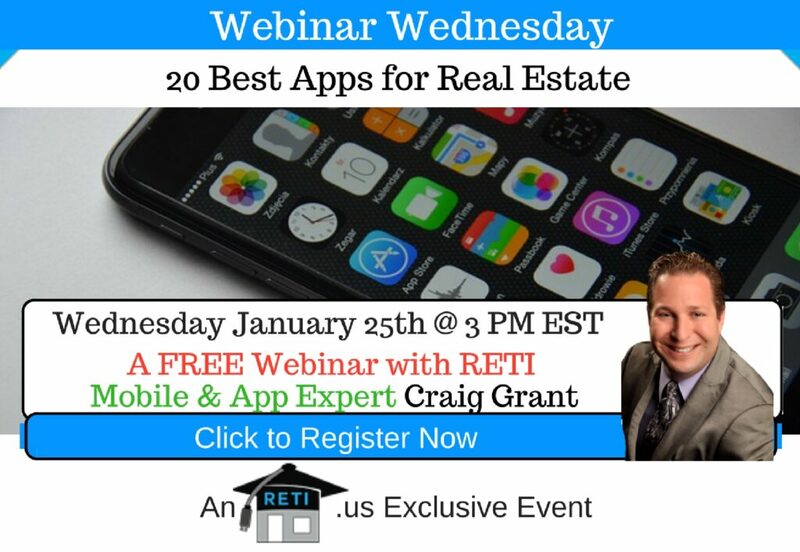 Well have no fear, as RETI CEO Craig Grant, a well known lover of all things apps will help by providing you the 20 Best Apps for Real Estate in this awesome webinar!! Apple makes great devices, from the MAC computers to IPhones, to IPads & more. Learn keys to using them!